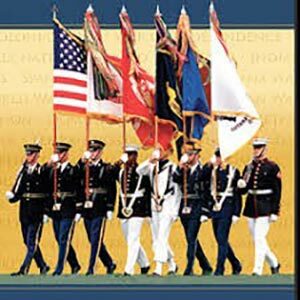 The Dinner program following the Stated Meeting on November 16, 2017 will be honoring Veterans of the U.S. Armed Forces. It will also be our privilege to host and hear from officers of the Texas Air National Guard. All Masons, their families, and friends are welcome to join us for Dinner starting at 7:30 p.m. Cost of the meal $12.00. Colonel Holt, the 136th Airlift Wing Commander, Texas Air National Guard, and Command Chief Master Sergeant Walden, 136th Airlift Wing, Texas Air National Guard, will present an informative and interesting thirty-minute presentation, highlighting and often detailing, the role of the Texas Air National Guard, as it serves our local Community, the State, and our Nation during natural disasters and its major combat logistics role in the middle east and around the world. We will learn how our Texas Citizens Airmen and Full Time Air National Guardsmen and Women maintain a 24 hour a day, 7 days a week, and 365 days a year, combat ready status to support and defend the United States of America. We will learn how the 136 Airlift Wing, Texas Air National Guard provides Airlift Logistics Support and has flown Hundreds (Possibility thousands) of hours of Combat Flying Missions in Iraq, Afghanistan, and worldwide with their C-130H Aircraft. Their presentation will provide a new perspective and understanding of their mission’s magnitude, accountability and the effectiveness of our Texas Air National Guard, and will open our eyes to the extreme and awesome responsibility placed on our Texas Citizen Airmen and Women. The 136 Airlift Wing, Texas Air National Guard, has been recognized by the United States Airforce (USAF) many times as the “Top”, most effective and most capable Airlift Wing in the USAF and has been the recipient of every award given to USAF, AFRES, and Air National Guard Airlift Wings. Let’s provide a great welcome to Colonel Holt and Command Chief Master Sergeant Walden.